Send and receive unlimited free texts with an iPod Touch or iPhone to any US mobile phone with TextNow! Text all your friends as much as you want without worrying. 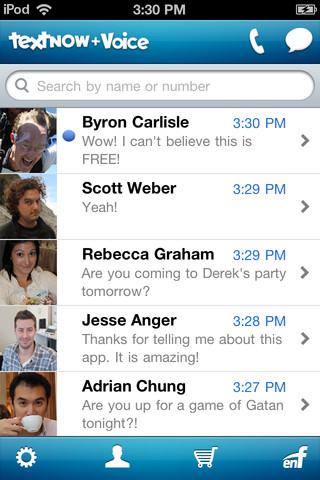 TextNow gives you a free phone number so your friends can text or call you back. Simply choose an area code! Clicking the Download button will download the setup file to your desktop. Opening this file launches Air Installer to manage your installation process, which may offer additional and optional offers from 3rd party software advertisers. 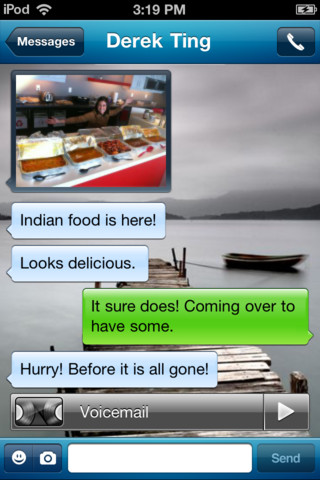 You may also download the original free version of this software at the TextNow - Unlimited Free Texting (SMS) website.